Bill Cosby’s other secret vice was gambling, a convicted bookie and Mafia scion claims. For four years in the 1980s, “America’s Dad” bet hundreds of thousands of dollars on his favorite NFL team — the Miami Dolphins — with New York City bookmakers, according to Chris Colombo, the youngest son of late crime-family godfather Joseph Colombo. “He loved them, bet on them every week,” said Chris Colombo, who claimed to “have knowledge” of Cosby’s bets but did not handle them personally. Colombo, who spent a year in prison for running a $3.6 million-a-year bookmaking operation, said Cosby would place weekly wagers on the Fish between 1983 and 1986 — during the team’s glory days with quarterback Dan Marino and when “The Cosby Show” was at the height of its popularity. The bets amounted to nearly $400,000, Colombo estimated, with Cosby dropping $5,000 on each week’s game, plus $10,000 on the five Dolphin playoff games in that period. He also lost a $20,000 bet on the 1985 Super Bowl XIX, when the San Francisco 49ers crushed the Dolphins 38-16. Cosby placed the bets through an NBC employee, Frank Scotti, who phoned in the wagers, Colombo said. Scotti later became Cosby’s personal assistant. Colombo wasn’t sure if the calls came from the Brooklyn studios where the hit sitcom was filmed, but he said Cosby would be “right there” as Scotti made the bets. Scotti, an NBC facilities manager who died in 2015, confessed in a series of 2014 interviews that for years he had funneled young women to Cosby backstage. He claimed Cosby would give him bags of $100 bills, which Scotti would use to pay off the women. Scotti never mentioned a gambling habit in those interviews. Colombo said he met Cosby through Sammy Davis Jr. in the ’80s. On occasion, Colombo said, he attended Cosby’s Thursday-night dinner parties in the star’s dressing room, where guests feasted on catered cuisine, drank $1,000 bottles of wine and grooved to jazz. Colombo said Cosby “bet with his heart” and when it was time to pay up, Scotti would deliver cash to the bookie in a plastic or paper bag. Any winnings would also be sent in a plastic or paper bag. The bets were written on slips, placed in a ledger and later burned, Colombo said. He said Cosby fell out of love with the Dolphins after they went a mediocre 8-8 in 1986. “When they weren’t in contention, he wasn’t playing them,” ­Colombo said. 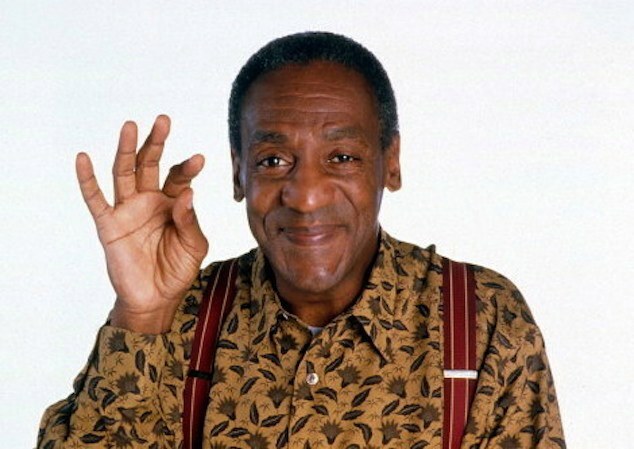 Cosby spokesman Andrew Wyatt scoffed at the betting claims.